The Bepko Learning Center helps students play a key role in the academic development of their peers by being role models, applying collaborative learning techniques, and facilitating the group experience. Success CoachingBuild an action plan to help you identify, clarify, and achieve your goals. Academic MentoringStrengthen the impact and value of your ideas and efforts. Tutorial SupportAssist with gateway courses and general education courses. A powerful partnership for student success can be created through the collaborative efforts of peer mentors and supportive faculty. StudentLingo offers on-demand student success workshops that are free to IUPUI students. Five reasons you need the BLC! Our Bepko Boys are back with some tips on how to prepare for final exams! IUPUI free resources video! 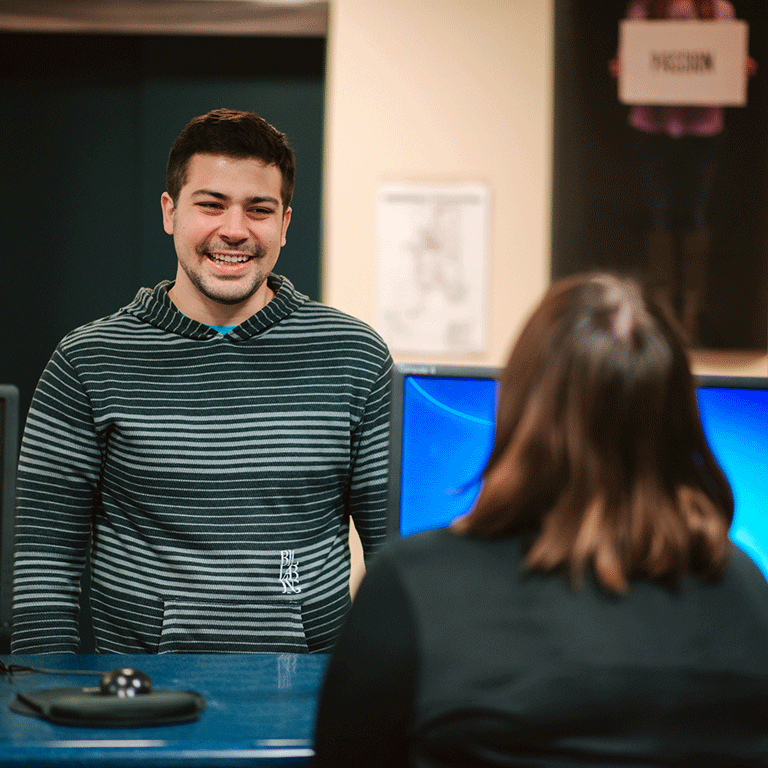 See what resources are available to you on campus! Freshman-Year Survival Guide! Our Bepko Learning Center guides break down some important steps to success in your first year at IUPUI! Visit the recruitment page to apply to be an academic success coach, mentor, or tutor. The National Mentoring Symposium is November 10th! View the National Mentoring Symposium website for details. Monday–Thursday: 8:00 a.m. to 7:00 p.m.